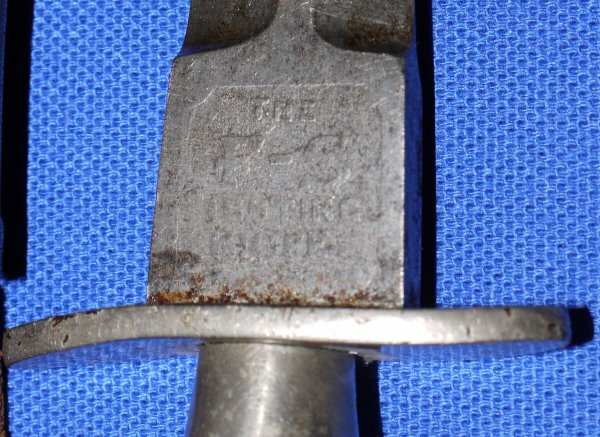 WW2 British Commando F-S Fighting Knife, 1st Pattern, Sold. A rare WW2 British Commando F-S Fighting Knife, 1st Pattern, by Wilkinson Sword, in well used condition. If you want a pristine 1st Pattern F-S knife, this is not for you. If you want a guaranteed authentic and well used first pattern Fairbairn-Sykes, one that was clearly involved in World War Two with a British commando, this F-S is for you! Well worn still sharp 5 7/8 inch blade with F-S Fighting Knife and Wilkinson Sword logos only just visible, signs of use, well aged, firm in the hilt / grip. The grip good though worn. Cross guard has some wear / damage. The sheath shows this knife was worn / carried / used for a long time. 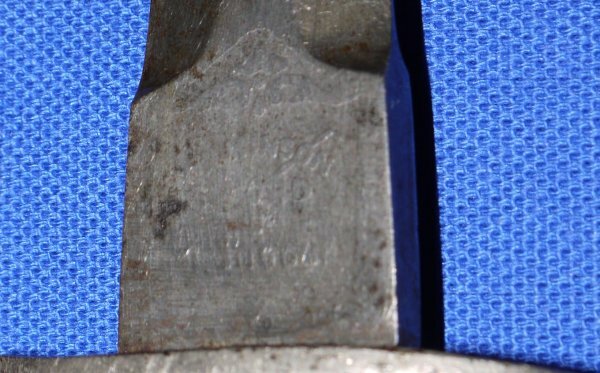 Commandos regularly slightly shortened the blades like this one in the sharpening process as a matter of personal choice or due to losing the very tip in action (often slightly shorter blades like this indicate a grisly history). Yours for £? (too late, now sold). Please quote item reference O76 (1390). Full sized photos available upon request.